Ganesh at AnandTech has a great writeup about the coming-soon D-Link Boxee Box. 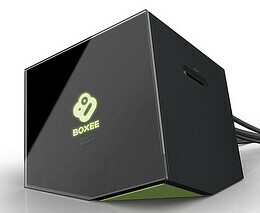 He goes into more detail about the hardware than I’ve seen thus far so it’s a must-read if you’re at all interested in Boxee and their new extender. For AnandTech to recommend a media streamer, it must strive to enable the consumer to watch whatever content he wants wherever he wants. Boxee Box seems to have taken this philosophy to heart, unlike some of the other recently announced media streamers.